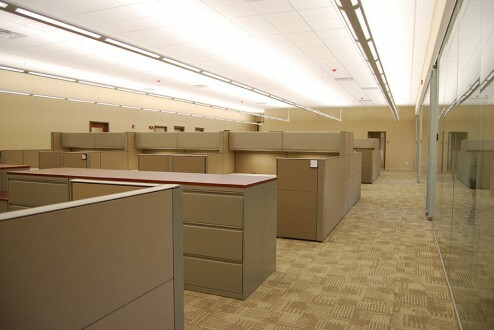 APPEARANCE: Visually warm and open atmosphere is generated even though the space is filled with workstations. 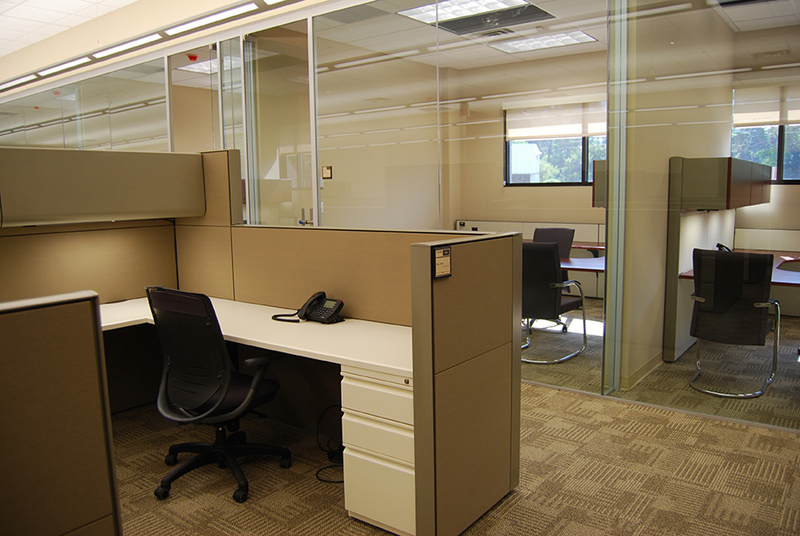 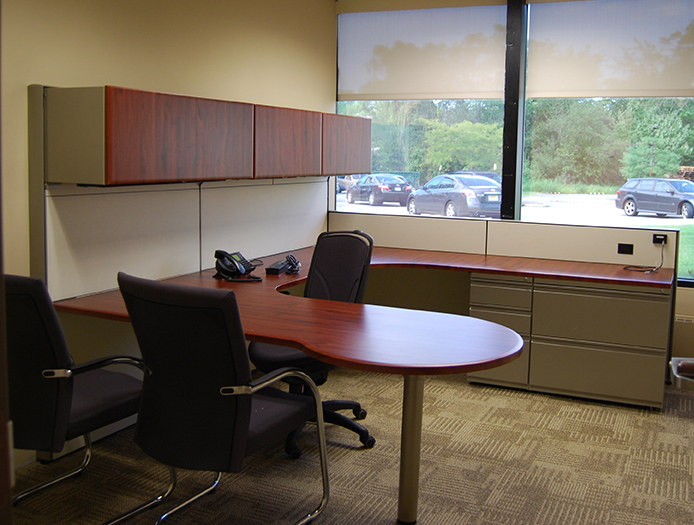 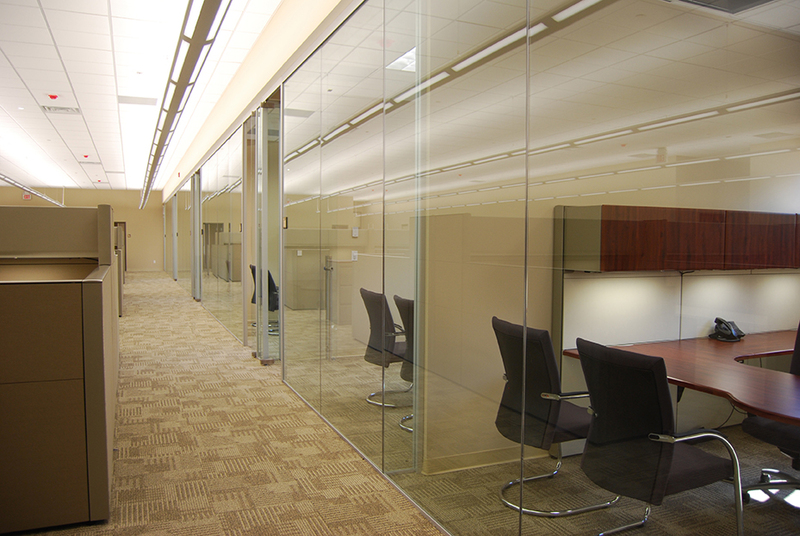 The assembly of the storages, workstations, and private office settings create a refined solution. ECONOMICS: The panels are arranged so the upper linear storage bins are on higher level panels and the side panels are lower for better communication among the staff.